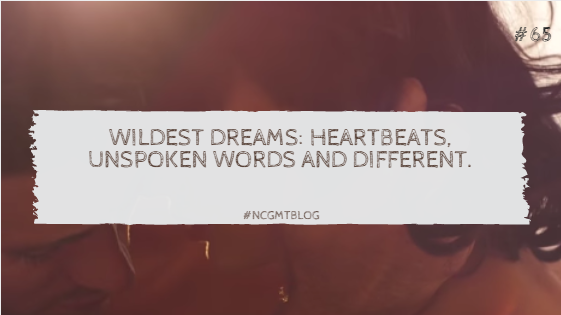 Wildest Dreams: Heartbeats, Unspoken words and Different. "Say you'll see me again, even if it's just in your wildest dreams"
So, the music video for Taylor Swift's "Wildest Dreams" was shown at the VMA's on August 30th. This song is one of my favourites on the album and it's bittersweet for me. In my opinion it's a sad song. The video was completely unexpected, I was really surprised at the look and concept of the video. An interesting fact about the song recording is that Taylor actually recorded the sound of her own heartbeat for the track. First of all, Taylor's choice of location is absolutely stunning. Of course we can all tell it's Africa, where specifically I'd love to know. The concept is as follows, Taylor plays an aspiring starlet starring in film with a beautiful co-star. She falls madly in love with him and when shooting for the film ends she pleads with him to remember her, even if he only remembers her in his dreams. Taylor's co star is none other than Scott Eastwood, son of world renowned actor and director Clint Eastwood. His look is distinctly all American and he fits perfectly as the co star on their '50s style music video. I personally find the song quite sad. And I'm not sure if I totally like the look of the music video. I understand that she was going for a specific time period but for some reason it doesn't seem to fit the song, in my opinion. However, that's not to say that the video doesn't contain beautiful imagery. As always, I listened to the song while I wrote this blog post. This is the fifth single from Taylor's hugely successful album, "1989". The album is largely inspired by a break up that Taylor Swift went through and as I said in my blog post about the "Style" music video, Taylor's style of music has matured and grown as she has. Question for you all, do you think the brown hair suits Taylor? I know I'm so used to seeing her bright blonde hair everywhere but it just looks so wrong in my opinion. 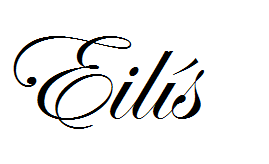 People aren't used to change though, so I'd like to know what you think? The way I interpret the song is a bit different from the video concept. In my opinion there's a sort of plea, a hope that the person the song is directed to will remember what they had, and hopes that they'll see eachother again, even if it's a wild hope, or the figment of imagination. There's something interesting in that. The song is almost sensual in some ways, brought about the sound of the heartbeat resonating throughout. The shots that I like the most are the ones where the lighting is much darker and the footage looks almost shadowy, I think it has a nice effect. In my opinion the darker clips suit the song more. But Taylor and I seem to differ on that. A really nice touch was that any proceeds that Taylor makes from the video will be donated to aid animal conservation. The part I find most sad, is towards the end of the song, I feel like Taylor is almost shouting the words out to the person the song is directed to. TO SHOWCASE THE MUSIC VIDEO.